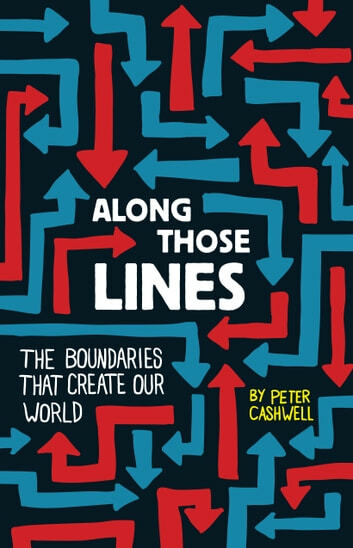 After years of crossing borders in search of new birds and new landscapes, Peter Cashwell's exploration of lines between states, between time zones, and between species led him to consider the lines that divide genders, seasons, musical genres, and just about every other aspect of human life. His conclusion: Most had something in common—they were largely imaginary. Nonetheless, Along Those Lines, a tour of the tangled world of delineation, attempts to address how we distinguish right from wrong, life from death, Democrat from Republican—and how the lines between came to be. Part storyteller, part educator, and part wise guy, Cashwell is unafraid to take readers off the beaten path—into the desert vistas of the Four Corners, the breeding ground of an endangered warbler, or the innards of a grand piano. Something amusing and/or insightful awaits at every stop. And he's not alone. 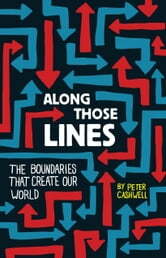 The tricks and treats of the human instinct for drawing lines are revealed in interviews with experts of all sorts. Learn about the use of the panel border from a Hugo Award–winning comics creator. Trace the edge of extinction with the rediscoverer of the Ivory-billed Woodpecker. Get the truth about the strike zone from an umpire who holds a degree in physics. You'll begin to see even the most familiar lines in a whole new way. Peter Cashwell dabbled in everything from radio announcing to improv comedy before settling into his career as a writer and teacher. His lifelong fascination with birds and language eventually inspired him to write The Verb 'To Bird', a Barnes & Noble Discover Great New Writers selection (Paul Dry Books, 2003). Since 1995, Cashwell has taught at Woodberry Forest School in Virginia, where he lives with his wife and two sons.